In addition to visual arts (painting, sculpture, etc.) artoberVA really embraced the performing arts. There were plays, music, and dance. One Richmond-based dance company really drew a crowd and embraced the spirit of artoberVA, and that was Richmond Urban Dance. What Mandy and her crew do is take the invigorating music and moves of hip hop and bring it to the streets – literally. 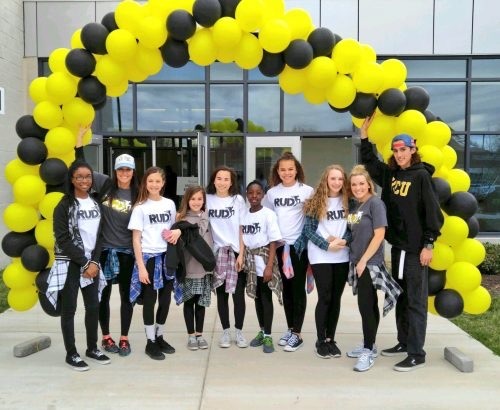 During October, RUD took their normal Saturday master classes and did “pop-up” street sessions all over the city. That was one of our messages with artoberVA – everyone is an artist. They just might not know it yet. And art is everywhere around us in Richmond and Central Virginia. It’s just waiting to bust out, and bust a groove. Get a word out to Richmond Urban Dance. Meet Mandy and her crew. Take a class. And find out what moves you.